Dr. Silver graduated with a bachelor of arts degree from Cornell University, where he was chairman of the Board on Student Health and a member of the Quill and Dagger Honor Society. He was awarded his medical degree from State University of New York-Downstate. He did his internship and residency training at Thomas Jefferson University Hospital in Philadelphia. Dr. Silver then completed a fellowship in cardiovascular disease at Presbyterian Hospital in Philadelphia and a teaching fellowship at the University of Pennsylvania. He was the first recipient of the Merck Cardiovascular Scholarship award. 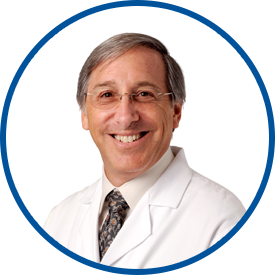 Dr. Silver is board certified in both internal medicine and cardiovascular disease. He has been practicing in the White Plains area since 1982. He is affiliated with White Plains Hospital, where he served as chief of cardiology; Westchester Medical Center; Burke Rehabilitation Center; and Greenwich Hospital. Dr. Silver has been recognized multiple times in listings as one of the top cardiologists in New York. Always excellent experience and great communications, understanding and great listener. Dr. Silver always takes lots of time with me. I never feel rushed even when I come with a list of questions. He is awesome! Dr Silver was truly amazing. He took his time to explain everything to me and made me feel very comfortable. He even showed me my EKG results on his computer screen.